Portrait Perfection now offers wedding photography services at WELL below our competitors prices, but thats not all. At a lower cost, you are getting even MORE than you would be getting with most competing photography companies or independent photographers. Portrait Perfection photographers, both event and studio photographers are Certified Professional through the Professional Photographers of America (PPA) which not only makes them more reliable, trustworthy and professional, but it also means they are insured. Due to many factors that determine the rate you pay for wedding photography services, getting a solid quote usually isnt just a 5 minute thing. Not to mention the fact that you want to shop around to make sure you get the best price. Weve thought of that. We can offer the FASTEST QUOTES in the business. We can (at our studio or over the phone) give you a QUICK QUOTE for wedding photography services in less than 30 seconds; and a FULL quote with an attached invoice and agreement (ready to sign) in less than 5 minutes. Coupled with our low-price guarantee, not only are you getting a price the FASTEST, but you are also getting a price LOWER than our competitors. Portrait Perfection is a family owned and operated photography business. We earned and maintain a 5-star rating online through Yelp and Facebook. Our experience and customer service soar above all else. 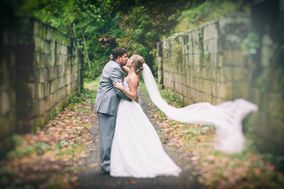 Since we are the exclusive photography company for the Premier Wedding Collection, when you book a wedding with Portrait Perfection, you are also immediately qualified to save 10% on other services affiliated with PWC, such as Disc Jockey, Catering, Limo Service, Make-Up Artists, Photo Booth rental, and MORE.